Curious about all those green doers in the North? 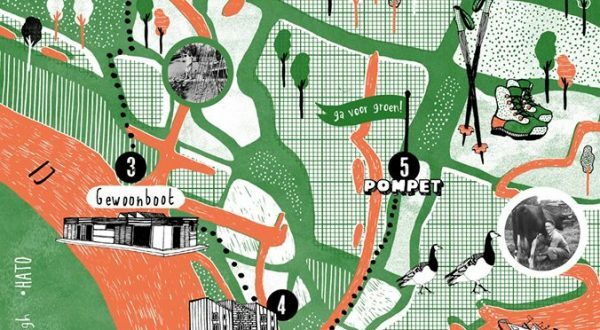 Especially for you, we will celebrate the Greenest Day of North this Sunday, October 14, a walking and cycling route along all sustainable initiatives in Noord. 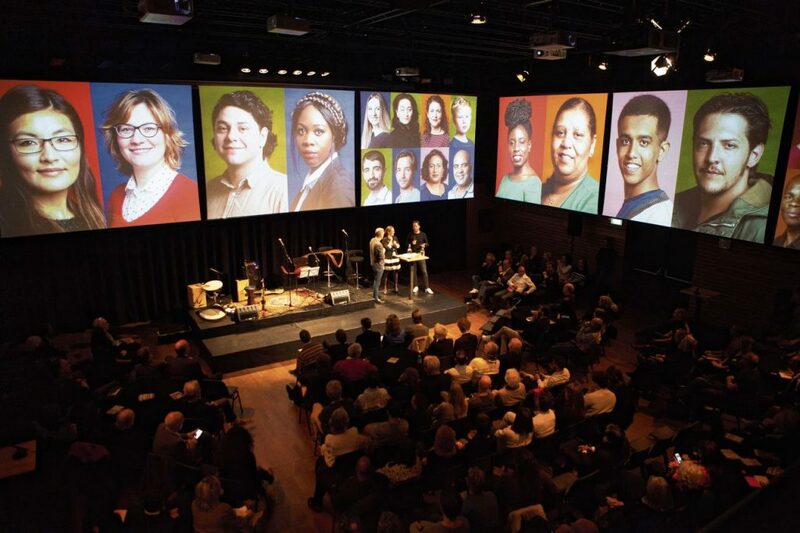 Share your dream for a green, sustainable and circular North! 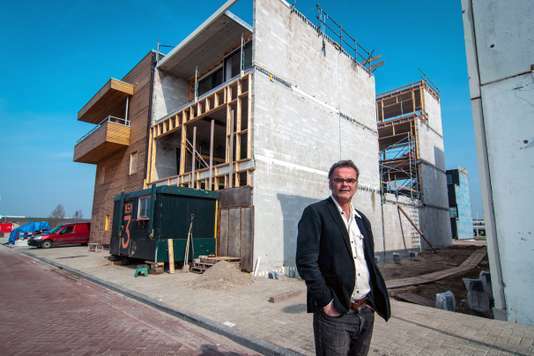 Between 14.00-16.00 hrs, self-builder Frank Alsema will give a tour in Palais Récup, his remarkable self-build home in the district of the future: Circular Buiksloterham. Palais Récup is built from recycled material and uses various new techniques for heating; heatpipes, infrared panels, pellet stoves, heat pump, heat recovery installation (WTW), woodstove with particulate filter, rainwater that is reused for toilet, worm hotel and of course plenty of green on the rooftop garden! With the Greenest Day of North we do not only want to inspire others, we also want to connect initiatives with each other. Precisely because local cooperation and meeting really make a difference. Together we make more possible! Because that is the Sustainable 100 of Noord: a neighborhood supermarket of green doers and above all an invitation to cooperation. By working together we are working on a circular city. North as the first ‘Donut district’ of the Netherlands, how beautiful is that! 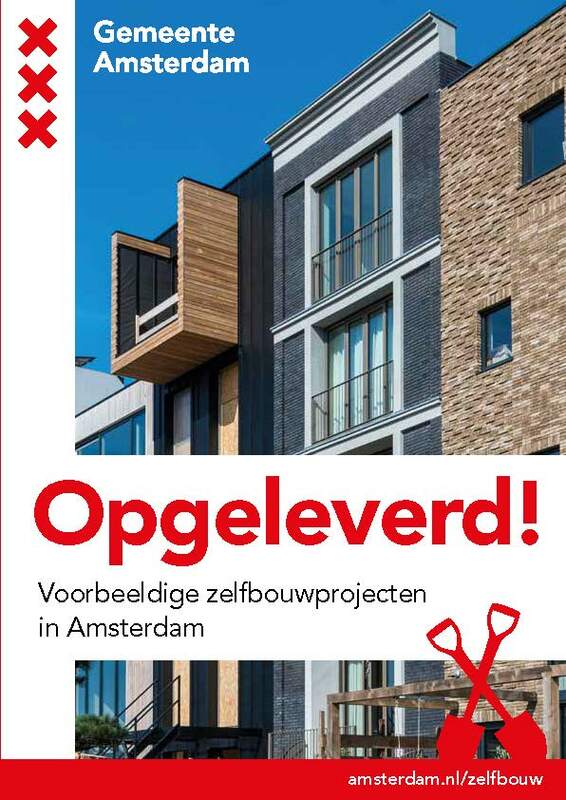 A lot of inspiring ‘green’ initiatives are happening in Amsterdam North. If you would like to know what kind of things. Join the Greenest day of North and meet plenty of entrepreneurs, artists and other initiatives. Experience the remake of the legendary rooftop concert The Beatles gave in London in 1969! Palais Récup opens its doors to the sustainable city on Saturday 23 June. 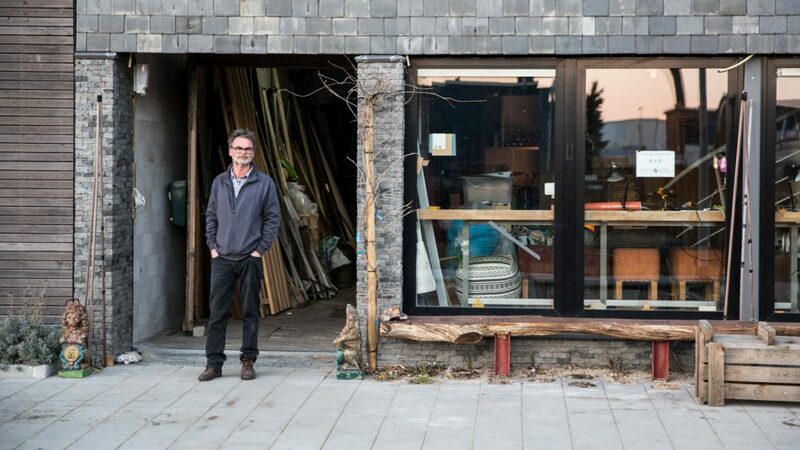 Look at how this particular self-build home comes about in a process of building, discovering, inventing and trying out. And make your own cup of FairChain coffee. Palais Récup has been designed ‘in reverse’. Architect John Zondag made the design based on a hall full of Marktplaats stuff. 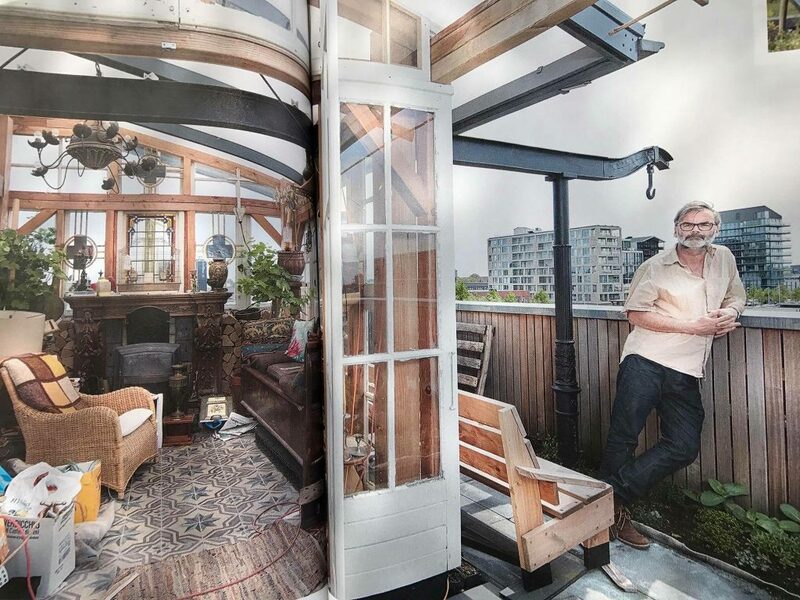 In the house, self-builder and city maker Frank Alsema experiments with collecting rainwater, different forms of energy production and a rooftop garden. 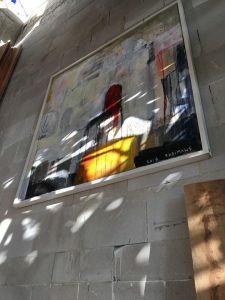 You will find furniture by Van Plestik and Paul Salet, art by Frits Heimans and music by the Amsterdam band The Rooftops on … the roof of Palais Récup. Be inspired and come along! Send an email to info@palaisrecup.nl. 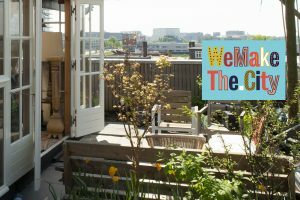 This event is part of the city festival WeMakeThe.City. 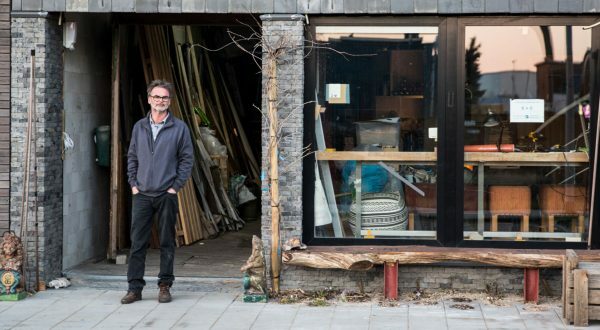 Frank Alsema describes himself as a “city maker.” The TV producer lives in north Amsterdam, where his house has become a lab for more sustainable urban lifestyle. 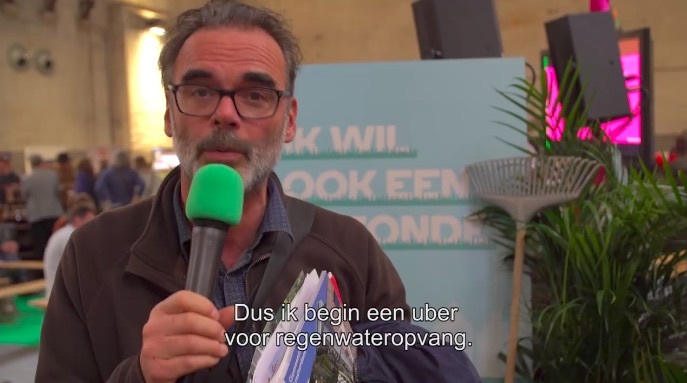 The community there and throughout the Netherlands aspire to what they call a “circular economy.” That means recycling and reusing everything, including energy. 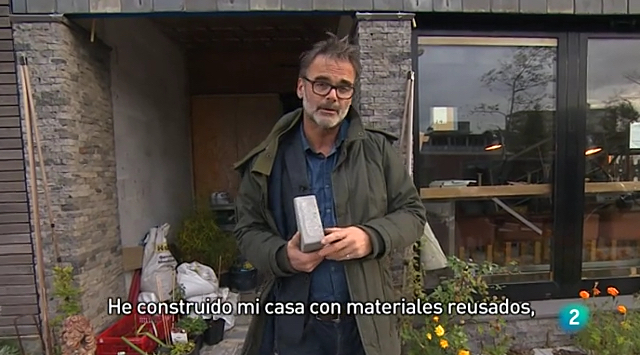 That’s why Frank’s house is built out of stuff he bought on eBay. 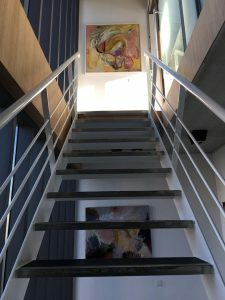 I recently visited Frank at his house in Amsterdam, where he took a Gizmodo crew and me on a tour of the curious castle he’s built. When we first walked in, Frank didn’t apologize for the mess. 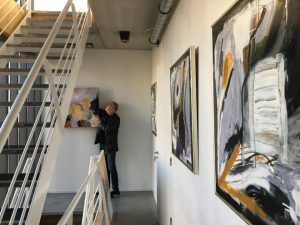 The space was strewn with building supplies, furniture, artwork, and kitsch. It looked like it was still under construction, because it was. Read the whole interview by Adam Clark Estes, including 3 min film House Hacker starring Frank Alsema, at gizmodo.com. 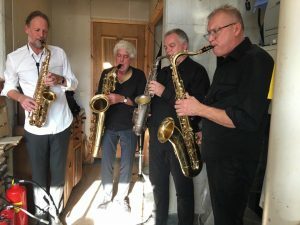 De leden van het professionele Art Beat Saxophone Quartet spelen gepassioneerd en dagen elkaar voortdurend op artistieke wijze uit. 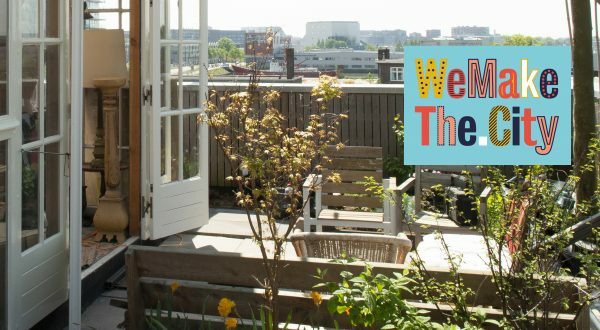 De stijl is funky, filmisch, werelds en hedendaagse gecomponeerde elementen worden niet geschuwd. 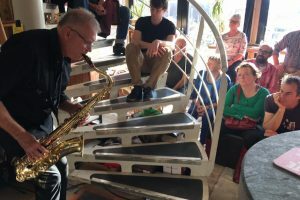 Ze hebben al vele cd’s gemaakt en speelden op alle mogelijke locaties, van kleine jazzpodia tot North Sea Jazz en alles wat ertussen zit. Op 15 oktober presenteren ze in Palais Récup hun nieuwste cd ‘Mind Your Own Beat’. Beluister hier een voorproefje.